The Shadow is invading the Clanlands. This nefarious force does more than just attack at the walls. No, it can influence your mind and turn you into its pawn, making you fight those you once called friend and family. Who can stand against such an enemy? Well, hopefully you can. You're a member of a new, elite fighting force specially picked for your ability to resist the effects of the Shadow's influence. 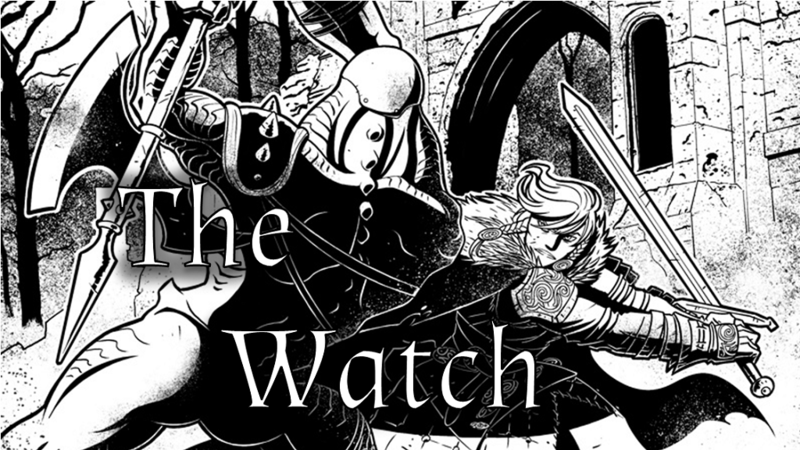 That's the story behind The Watch, a new light fantasy RPG that's up on Kickstarter now. The Watch is a tabletop roleplaying game set in a "light fantasy" setting known as The Clanlands. It takes place during a dark and horrific war between the now-united ten clans who live there and an invading force, known only as The Shadow. The Shadow is a powerful and insidious enemy that is able to enter the minds of its opponents and slowly turn them to its side; twisting them into unnatural foes. For reasons unknown, The Shadow is able to more easily influence the minds of men, and has turned a great deal of the clan's soldiers against itself. With most of its fighting force crippled or worse, the clans have joined together and begun enlisting new warriors to defend their homes. Women and non-binary femme people who seem better able to resist The Shadow's hold have been recruited, trained, promoted, and formed into a new order: The Watch. In The Watch, you'll play a group of elite soldiers who are called upon time and time again to defend villages, attack The Shadow's forces at key locations, scout the enemy's lines, and much more. Each mission comes with its fair share of costs and compromises and you'll need to navigate them in order to be ready to heed the next call to action. The Kickstarter campaign is coming up to 50% funded with still 31 days left to go.